Are you traveling to Dubai for holidays? Are you currently in Dubai for a vacation? 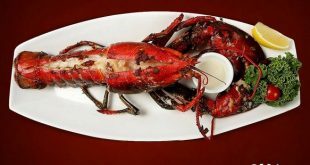 Don’t forget to try out Dubai Seafood from the Fresh Seafood Restaurant in Dubai. Dubai provides you the option of different vegetarian and non-vegetarian cuisine. Dubai is no less than a paradise for seafood lovers as you will get all the varieties in a single place. World-class chefs are there to serve you the best seafood. The fish hut restaurants in Dubai carters to local communities, expatriates and the tourists to the city. The fish restaurants in Dubai are a blend of sea foods with the green salads. Travel to Dubai and taste food at a warm & welcoming atmosphere. Dubai restaurants have all the mix of different sea food recipes & items, filled with love and affection of the chef. The presentation and looks of every dish will win your heart and the hospitality of the place is always magnificent. The procedure of sea food preparation is simple and doesn’t require a long time to serve. Different chefs have their own recipe for cooking sea food and you can enjoy the best quality ingredients without any artificial flavor. The fish and sea food restaurants are world class which is fresh from Sea to Fish restaurants. You can visit any of the seafood restaurants with your friends or family when you visit Dubai. The sea food restaurants offer the tourists of Dubai with a good feast of healthy cuisine, which is a combination of fresh food, salad, and an awesome ambiance. The staff of the restaurants you with genuine care and humble attentiveness as you eat and enjoy the seashore. The ingredients used in food preparation are a combination of traditional spice mix which is the exclusive specialty of seafood restaurants in Dubai. Every seafood restaurants have something special in them, i.e. there is chef’s special dish in every restaurant. Taste different seafood like the never before and it is guaranteed that you will get to taste different flavors in Dubai. Get to eat fresh fishes and seafood in restaurants that are highly rated in Dubai. 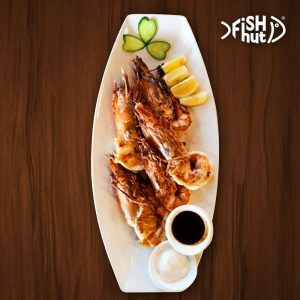 The dishes and food are prepared as a combination of traditional spice mix which is the exclusive specialty of Fish Hut Restaurant in Dubai. Fish Hut Restaurant displays a wide range of fresh sea foods and you will be able to eat the seasonal fishes at the best rate. All the food restaurants are uniquely designed with a certain characteristic and flavor. Once you are in Dubai, you must taste the different flavors of the place before ending the journey. Next Get Details about Seafood and Some of its Major Benefits! !